IMS was created a time when electronic music was at rock bottom and in desperate need of a productive community setting for its leaders. Ibiza was the place where the industry had always congregated every summer, so naturally, it was the starting point for our vision. 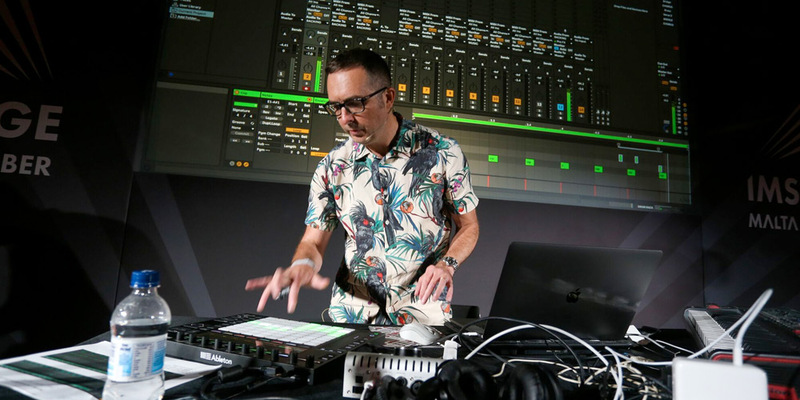 IMS continues to pave the path in the electronic music industry. Described by media as “the TED of music conferences,” IMS has grown its reach across continents and is now an award-winning conference as voted by The DJ Awards with multiple panels claiming awards as the Top Electronic Music Debates of All Time by Beatport. The IMS calendar year begins in April with IMS Engage in Hollywood, California as the precursor to our flagship event, IMS Ibiza in May. Following, IMS heads to China in Fall with the final edition of IMS Asia-Pacific which takes place at the end of the year. IMS’s ambition is to continue our global expansion in effort continue the debate and help the genre innovate all over the world. The IMS Grand Finale Festival on Thursday and Friday night is hosted in a treasured Ibiza UNESCO World Heritage Site, the breathtaking and historic Dalt Vila location. IMS Asia-Pacific was introduced at the end of the year in 2014 for the first time in Singapore. Having moved to Shanghai, China in 2015, IMS Asia-Pacific is now a two-day summit expands on the unique challenges and landscape of the Asia-Pacific region. 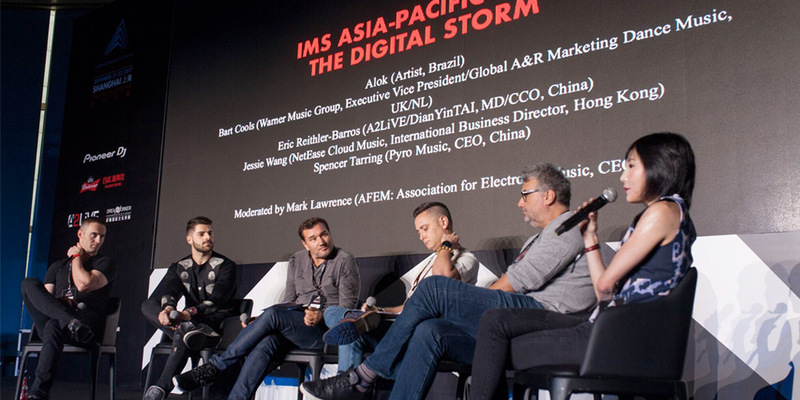 IMS partners with Budweiser Storm Festival, China’s premier electronic music gathering offering delegates the opportunity to do business in the region followed by a series of satellite parties and the nations leading festival. IMS Asia-Pacific features a series of panels, keynote speeches and interviews with interactive workshops and tutorials as well. At Asia-Pacific, IMS connects leaders of the region from the worlds of finance, technology, music and media with their Western counterparts for a productive platform of inspiration and education. IMS Asia-Pacific is taking a break in 2018 and will return to Shanghai in 2019. Observing the need to support and develop the future of the electronic music industry, IMS created IMS College, a dedicated educational program to help cultivate and inspire students, emerging artists and the next generation of business leaders who will push our genre forwards. IMS College, a summer camp educational programme, was created in 2016 to offer the next generation of electronic music artists and professionals the tools and knowledge they need to build a career in the industry. Spending time with Asia-based artists, talent and industry, it was good to learn about the local scene, streaming services and social media platforms. This gave the Mixmash team and myself a lot of new leads, angles and inspiration! Looking forward to coming back and see how this will grow! This felt like a real turning point in the impact the Asian marketplace has on the overall dance music industry. Very impressed by the diversity and level of representation at the panels as well as the attendees. We were able to learn more about the Asian perspective on aspects of our industry and broadened our network – will enjoy coming back for this one. To reiterate Robb’s sentiments – thanks to you Ben, Dom, Mark – and your entire team for a incredibly informative and productive inaugural IMS Shanghai. Hospitality was top notch as were the take aways from the conference. Look forward to participating in many more – well done all! The conference is the one of the most cutting edge electronic music and tech conferences out there. It brings the heavyweights to the table to share with the current, young generation of music lovers. I guarantee you’ll learn something from it and have a wonderful experience and I would urge you to come and join us.